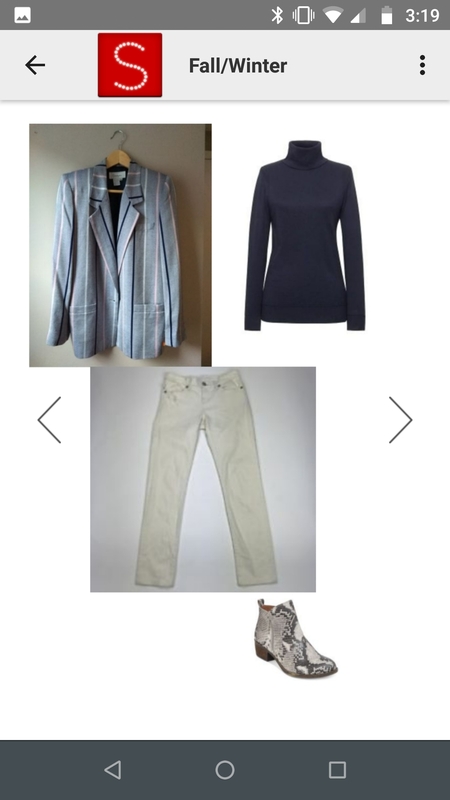 When I first heard of styling apps that keep track of your outfits, it seemed like a 2010s version of Cher Horowitz’s virtual closet. 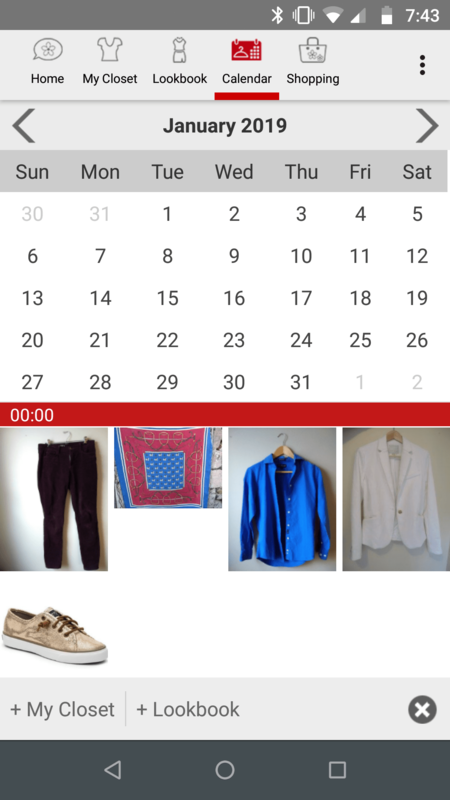 I wasn’t sure I would use such an app; I was already committing time and energy to Instagram to document my outfits and didn’t particularly want to learn to use another platform. But then I started having ideas for outfit combinations I wanted to try, and with a job and a kid it wasn’t practical to dress up in each combo, take a pic, then post to IG just so I could remember what it looked like. It isn’t the fanciest – the graphics share an aesthetic with Cher’s mid-90s closet computer – and I’m sure it could use some better features, but it does what I want: it helps me curate my closet. Here’s how. While I do love most of what’s in my closet, I’m guilty of wearing the same outfits over and over again, leaving my wardrobe latent with untapped potential. Then when I’m out thrifting, I’ll think, “Oooh, I could really use another blazer/pair of colorful pants/button down shirt to help boost what I can do with my existing clothes,” instead of digging deeper into what I already have. Scrolling through previously saved outfit inspiration helps address this; it gets me to realize how many combinations are just waiting to be worn, and encourages me to step outside my style comfort zone with new-to-me looks. 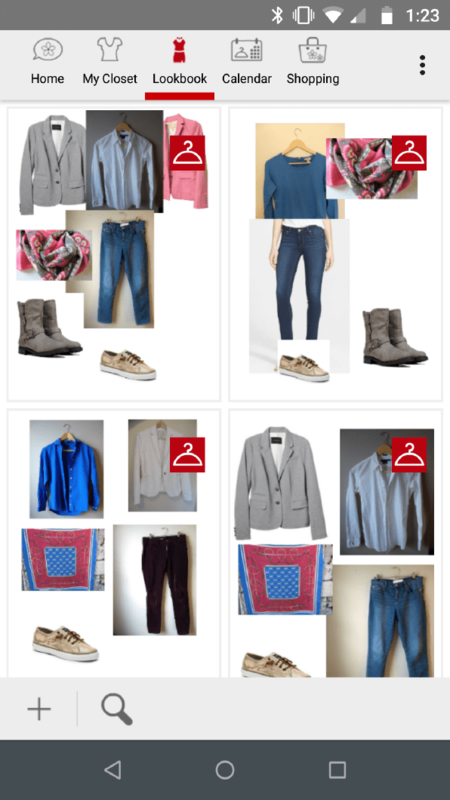 The best, unexpected use for the style app was test-driving items I was thinking about buying secondhand online. I simply downloaded photos from the seller’s posting, uploaded them to the app, and then mixed and matched to see how they would look with what I already owned. Granted, this approach misses something of how the items will look in 3-D, so to speak, but I’ve found it super useful for doing a more accurate job of the mental outfit calculus we all do while trying on something in a changing room. If the thing I’m thinking of buying makes a decent-looking flatlay with 8 or 10 other pieces, great; if I love it but can’t see how it will really go with much, maybe it’s an outlier and I need to leave it behind. This way of using the app helped me visualize sneaker-based outfits (yes, I got them, from Poshmark – hooray!) and gave me a sense of which of the half-dozen vintage scarves I’ve been eyeing on Etsy would get the most wear. Do you use a styling app? If so, what do you use it for? If not, can you see it being useful?